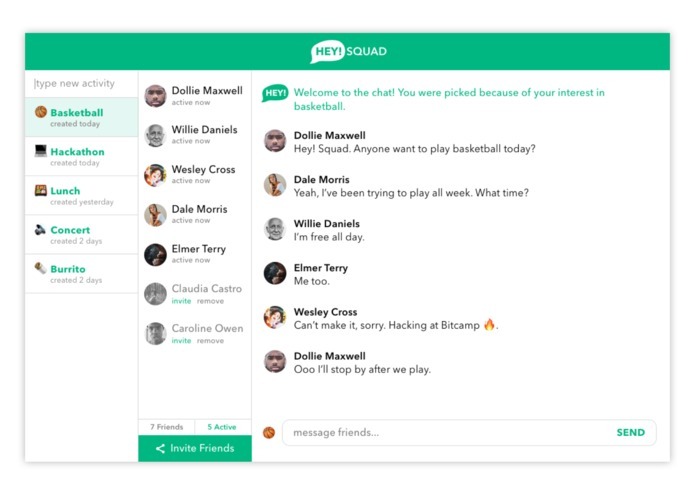 HEYsquad was inspired by the age-old problem of finding the right friends to go to the movies, or play basketball, or go with to a hackathon, or do any activity. We use machine learning to analyze your Facebook friends by looking at an assortment of data (eq. location, likes, past events, frequency of interactions) to suggest the perfect friends to do certain activities. We did not expect to be so limited by Facebook's API. 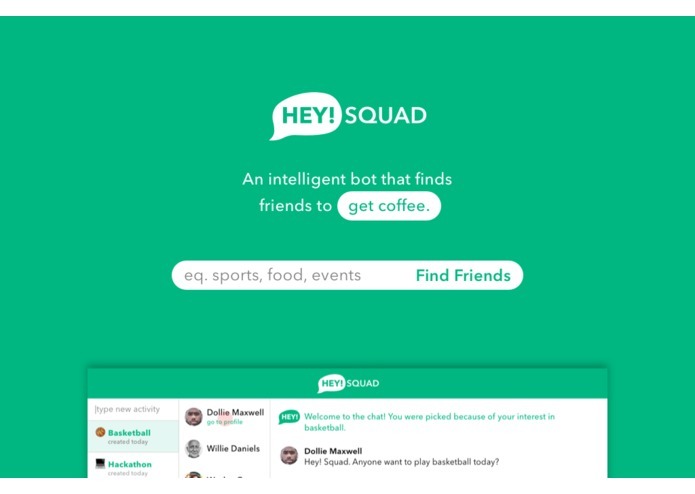 We originally planned on developing a bot that lived in Facebook messenger that you could message at any time with a desired activity and get friend recommendations. However, we could not get the permissions to use a bot or get access to your friend's Facebook data. So, we took on the big task of creating our own messaging platform in React as an alternative to Messanger and also had to settle with using a limited data set to calculate friend suggestions. 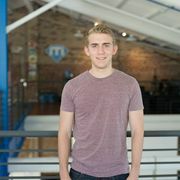 I worked on design as well as the front-end development of the landing page and chat interface. I worked on creating a way to pull Facebook information and intelligently choose friends to add to group chats. I also designed an NLP algorithm to categorize activities entered by the user.